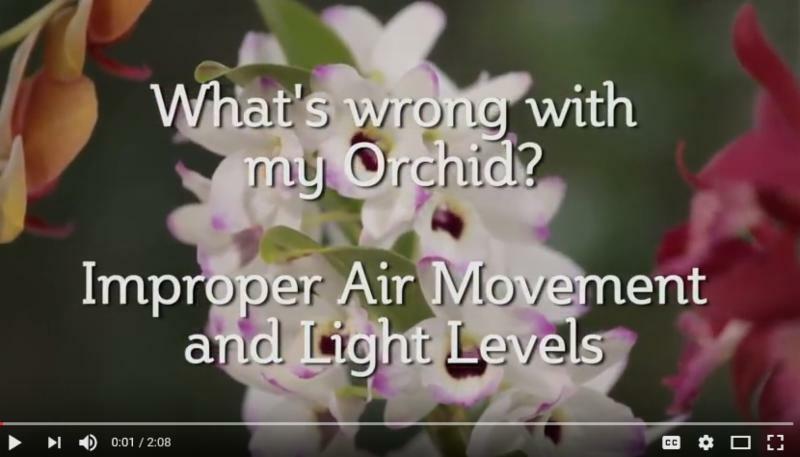 Should you be worried if your orchid is getting enough light? While orchids prefer bright light, they MUST be protected from direct sunlight. Any type of indirect sunlight will be best. 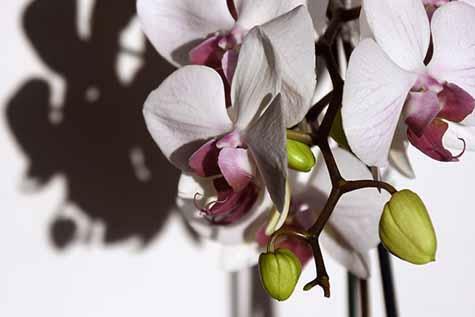 So if your orchid is casting a shadow, then it would be best to pull it back away from the sun. This is best rule of thumb for Phalaenopsis and Lady Slippers. Oh, and one more rule of thumb when it comes to light. Don't forget to set your clocks forward on March 12th for daylight savings time. STOP! Your Orchid is NOT dead! You may have noticed that your Orchid blooms have fallen off or maybe the spike has turned a bit yellow. Orchids will Typically re-bloom annually with proper care. To encourage faster re-blooming, after all blooms have fallen off, cut the orchid spike at the base, close to the orchid leaves. 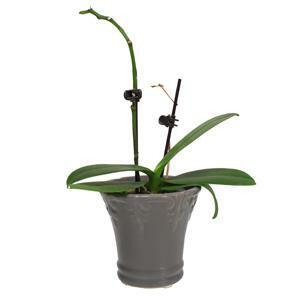 This allows the orchid to put the energy back into the roots where plant growth starts. Don't be alarmed your orchid just finished its blooming cycle and, in due time, will begin to bloom again. 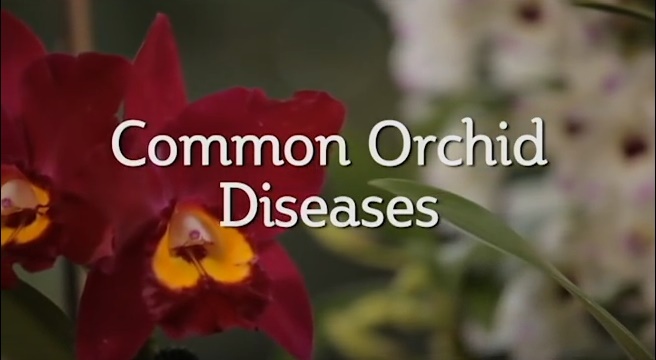 This video will show you how to find out if your orchid might be suffering from a past or present disease.